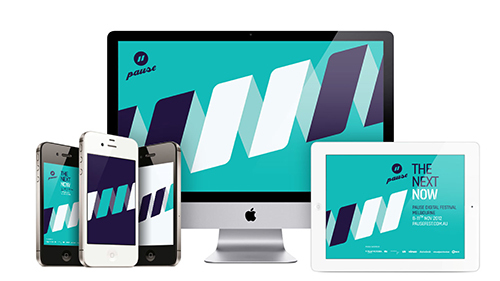 From the creative corner of Melbourne came the second year of Melbourne's digital media festival - Pausefest. It opened doors and joined dots for international designers. Getting professional and upcoming creatives to connect, create, share and get involved. 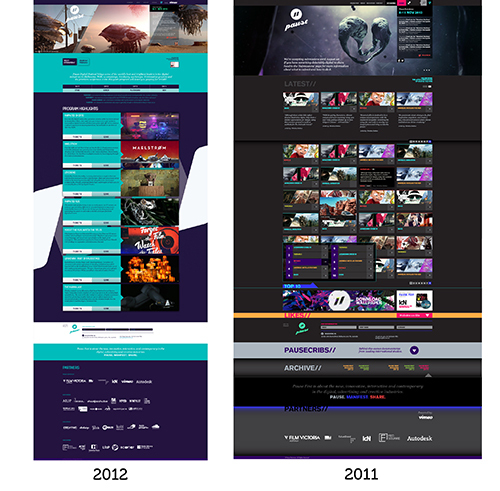 The festival in 2011 was a 7 day event, now 4 days with more organization, structure ( Pause Stage, Pause Screen, Pause Playground, Pause View) and a overall deeper understanding of what is a digital media festival about. Being the new kid on the block, the festival was a mix of being experimentally little - yet, engaging and growing. 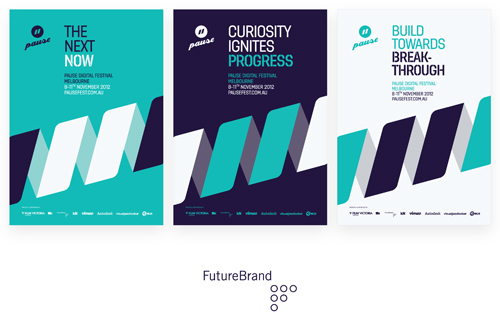 Themed FUTURE, Pausefest 2012 is about Digital Film and Digital Innovation. It brought the best motion graphics, VFX artists, sound designers, digital film, short film, animation, documentaries and studios together. Combining art and technology with music, machines and installations. Titles / Pause IDs. Check out this years opening montage HERE created by Squint/Opera (Melbourne) and Sound Design by Echoic Audio (Bristol). Also check out the infamous Pause IDs HERE. They keep getting better each year. Here's my favourite clip of 3D typography and ultra modern visuals from Lumbre Studio. Pause Stage, Pause Screen, Pause Playground, Pause View was the new festival structure. Breaking the festival down into sections and making it easier for ticket sales and creative interests. New additions this year were workshops (Pause Playground) and the full day conference (Pause Stage). We sat in on the VFX Iloura lecture and the hacking, tracking of objects in 3D space with workshops from Media Lab and ARUP. The main conference event Pause Stage showed the cutting edge results of international motion graphics like PYSOP. We were amazed by Marmalade Christian Fritz (Germany) technology powering VFX with some serious high speed slow motion shooting by camera robotics (To understand more check out here.) And we peaked behind the scenes on creative direction for web platforms, crowdfunding and ideas by Vimeo Jeremy Boxer (US) and Rick Chan Pozible (AUS). Friendly Jason White (US) the Executive Creative Director behind Leviathan showed us work of Amon Tobin and Skrillex. 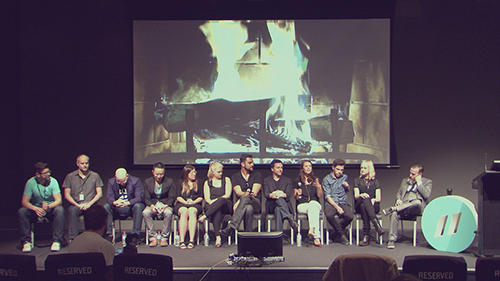 To end the day with all speakers together was a Q/A session, where conversation and magic happened. Pausefest encouraged networking with social events at the end of each day. 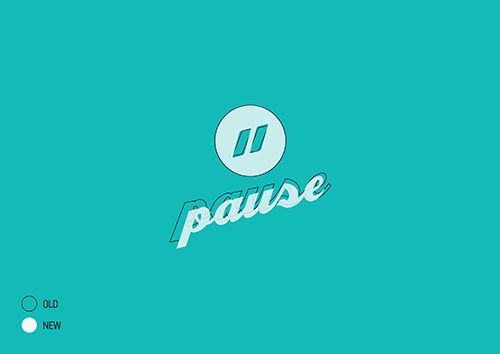 It made a great creative atmosphere where pause crew, attendees, speakers, photographers were hanging out together in locations like Fed Square watching pause screenings. A festival like this filters in the genuinely creative and passionate designers in the industry. 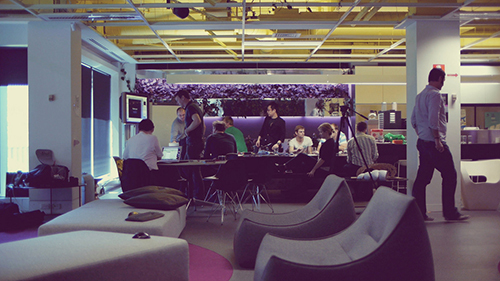 Pausefest is your Creative Director, it's your personal digital tutorial, it's hands-on inspiration. All that tend to get lost in the bigger conferences. There is so much movement and digital potential in this new age for design festivals. Attendees are littered with smart phones and digital devices to design, explore, tweet. Expanding social media, digital content sharing. From the freelance photographers to the blogger - it's a great atmosphere to be around. It was intimate, it was different, it was inspirational. Next year 2013 we may see more additional digital fields of music, digital film, web platforms, technologies for networking and interaction design. And the endless limits of design in motion graphics, VFX and film. 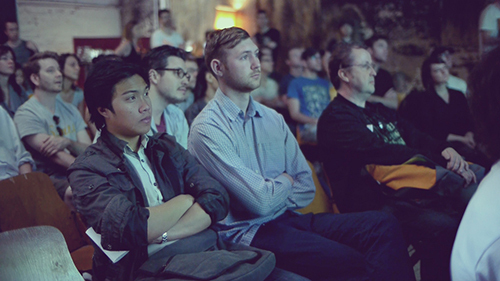 Pausefest is a year long community with ongoing networking events, updates and screenings. 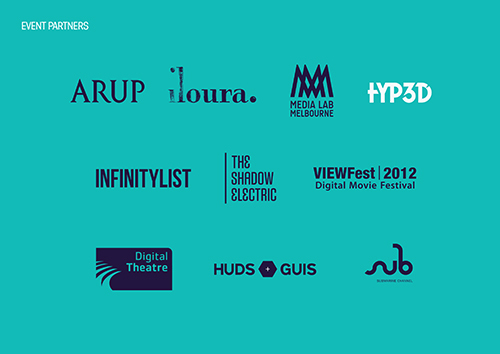 Stay in the loop at @pausefest and I recommend to get involved in 2013. Next year you're going to see the Pause evolution.